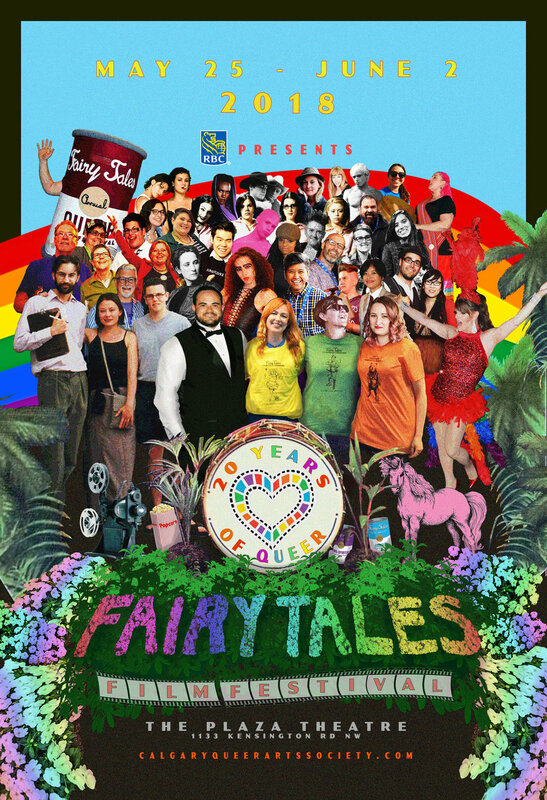 We are quickly approaching our 20th Annual Fairy Tales Calgary’s Queer Film Festival! From May 25 - June 2, enjoy our diverse section of queer-centric movies, documentaries, short films, panel discussions, and more exciting events! In order for you to maximize your festival experience, we have created a list of important FAQs that cover some of the top questions we receive each year. If you still have a burning question after reviewing our FAQs, please don’t hesitate to get in touch! 1. Who is the festival for? Everyone is welcome! Programs are geared toward LGBTQ2A+ individuals, but allies are also encouraged to attend. Ticket pricing is accessible for students, seniors, and new Canadians. By volunteering, some events are free to attend! 2. How do I purchase tickets? Tickets are available from $10, and go up to $100 for a full festival pass. Purchase tickets today! 3. Can I exchange my tickets? 4. Where is the festival venue? All screenings take place at The Plaza Theatre in Kensington (1133 Kensington Road NW, Calgary, AB). The theatre is wheelchair accessible, subtitles are available, and there is a fully stocked concession stand. You may also bring wine to enjoy during screenings. 5. How are films selected for the festival? 6. Can I get involved? Yes, we are a non-profit, and are always in need of volunteers, sponsors, and donors! 7. What if I have more questions or great ideas to share? We welcome all questions and comments! Please contact Erin Jenkins operations@fairytalesfilmfest.com. Purchase tickets for our fabulous events here! Tickets start at $10 for students, and go up to $100 for a full festival pass.